Real Madrid president Florentino Pérez has appeared to throw the club's rumoured interest in Eden Hazard into question during a recent press conference, hinting that Los Blancos will continue to invest in young players for the future. There has been much speculation that Madrid would spend big this summer following the departure of Cristiano Ronaldo, who has opted to join Italian giants Juventus. 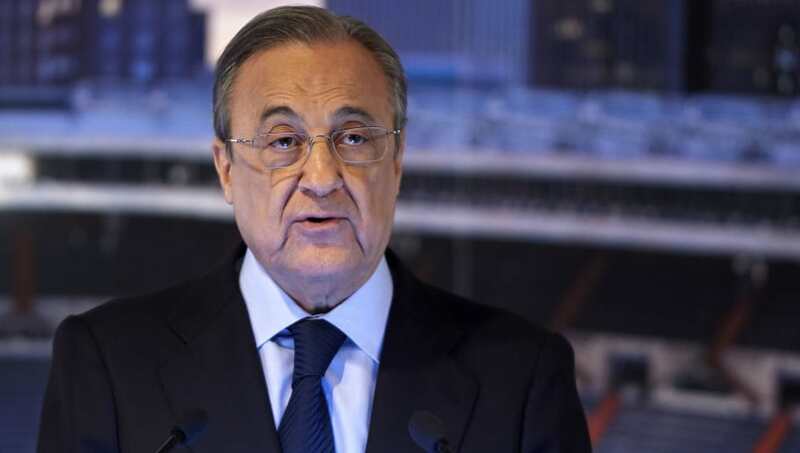 However, Pérez has insisted that the club will continue building for the future after securing deals for Álvaro Odriozola and Vinícius Júnior, seemingly ruling out a move for Chelsea star Hazard, as well as Paris Saint-Germain pair Neymar and Kylian Mbappé. "We know very well that the international footballing landscape has changed in a dizzying way and we must adapt and face up to this new reality," Pérez said, quoted by Marca. "We must also not forget the important contribution of our youth set-up in the first team, which, as we all know, is one of the key parts of our identity. "I said a few days ago that we would strengthen our squad with magnificent players and that's what we're doing, Odriozola is one, and so is Vinícius. It is understood that Real Madrid have had their sights on Hazard for a number of years, and Ronaldo departure was tipped to be the catalyst which would see a move for the Belgium international come to fruition. However, Chelsea fans can now sleep a little easier knowing that Los Blancos are planning for the future, although Barcelona are yet to rule out their rumoured interest in Hazard this summer.